This is the time of year when everyone is making their Wish Lists for the holidays. Well, it’s the time of year when my whole family (both sides) demand lists from each other so we can find just the perfect thing to make each other smile. And to make shopping a little easier for them, I have compiled this lovely list of the Top Ten things I have been drooling over have added to my Christmas list this year thanks to the lovely internets. This list could also help YOU get ideas for YOUR list…or find something perfect for someone ON your list. Pay attention…some of these little shops? Have discounts just for your holiday shopping!! I have wanted this adorable little necklace since the first moment I ever landed on The Vintage Pearl’s site. I know I am not the only momma who sings this song regularly to her little guy or gal. 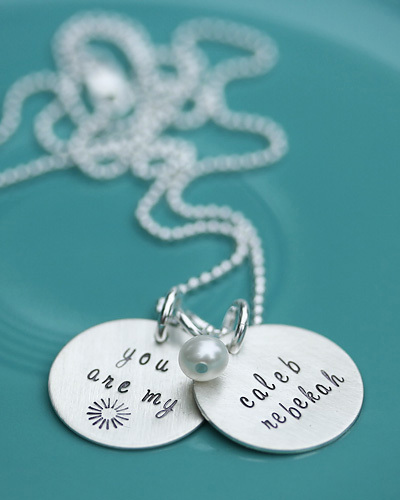 I “like” them on facebook, so I am always reminded of how cute this jewelry would look around my neck. 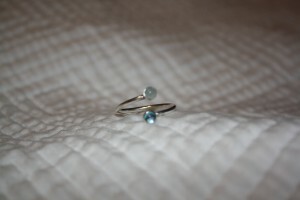 The extra bonus is that Eddie’s birthstone is a pearl, so how perfect would this be with his little name on it? A few months ago I won a tiny tub of Pear Vanilla body butter from Pink Bow Bath Boutique in a blog giveaway. I fell in love…hard. I went ahead and “liked” them on facebook, and have been drooling over all the updates on new scents ever since. This body butter is not overly thick like some I have come across in the past, but it is rich and soft and leaves me with a faint (not over-powering) yummy smell all day…and soft skin! And my little tub? Is almost empty! I need more! I have been looking for a good way to hang up all my necklaces that are too long for my jewelry box for some time. Right now they are a jumbled mess on a candle sconce on the wall. Not very attractive. Or functional. So I searched etsy for a million hours short time and found the j.a.r. collection. I think they are fairly new since I am the third person to like them on facebook, but the cute stuff in their shop? AWESOME. 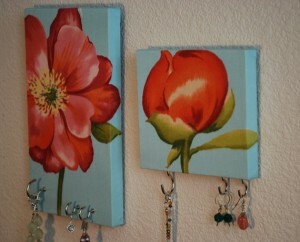 These beautiful art pieced that also have hooks for jewelry? PERFECTION! We have dark blue walls with white trim in our bedroom and we have accented with primary colors. These would not only LOOK great, but my jewelry wouldn’t be a clumped mess. I need want them. We don’t do a ton of entertaining, but when we do, I like to look cute. I remember my Grandma Riemersma always had a hostess apron that she would wear on Thanksgiving and Christmas…one that was a little prettier and more special than her every day ones. 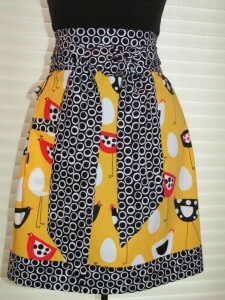 I have plenty of the traditional aprons to help me stay clean while cooking and baking, but I want something cute to put on when people are here. 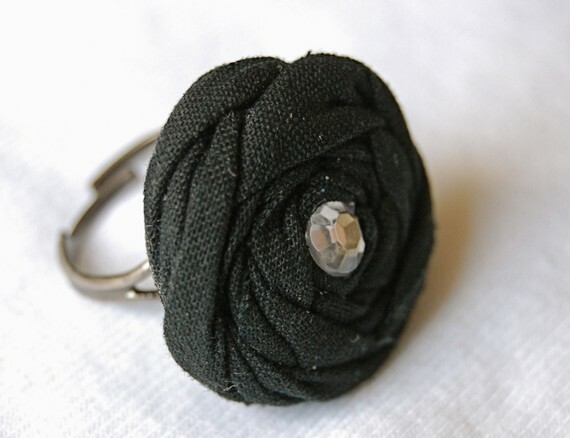 So I poked around the old etsy and found Phase Three. Oh my word. It was so hard to choose which apron I loved best. I decided to put the chicken print on my list because it sort of matches our kitchen/dining area colors and I like the the kitschy-ness of it having chickens on it. Reminds me of my grandma. 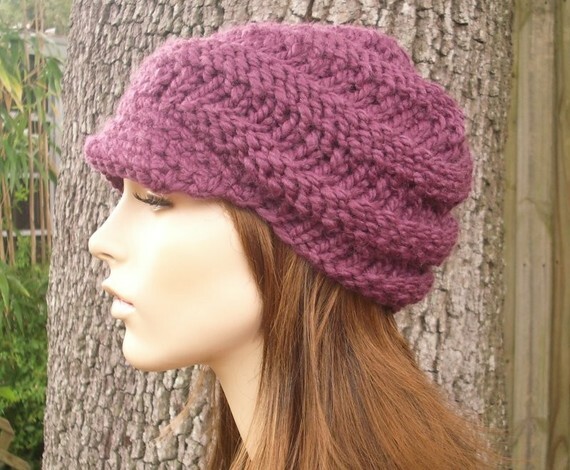 I am in need of a new hat for winter. But I am sort of particular. I already have a fig colored scarf with matching fingerless gloves (with a mitten flap) that I love, but no matching hat. So again, I turned to etsy and asked around on twitter and lo and behold, I was sent to pixiebell. I fell in love with this knit hat with the visor. It is slouchy enough not to mess up my hair, but it’s big enough to keep my ears warm. I love it. I need it. I am so freaking in love with Peggy Ann Design! She makes the cutest frames EVER! 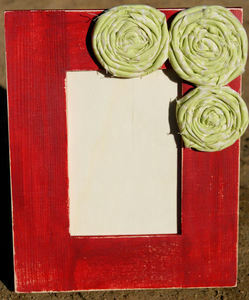 I “like” her on facebook just so I can get updates on new frames in her store. I can ALWAYS use more frames…ALWAYS! We are forever getting more photographs to put up, and I can’t bring myself to take many of the old ones down, so I just keep filling our space. My favorite frames are unique ones that I know no one else has. Unfortunately, I don’t have many of those. But Peggy Ann Design has the cutest, most unique frames! The red one above would be REALLY cute in either our living room or our downstairs family room. And guess what? Hannah (of Peggy Ann Designs) is so awesome (you can follow her on twitter, by the way), that she is offering YOU a discount for your holiday shopping! Just enter SLUITER10 at checkout and receive 10% off! Frames are perfect for just about anyone…especially if you put a picture of your little one or your family in it! Torie of Twenty Five Design happens to be a fun friend AND a sponsor here in Sluiter Nation. And I happen to love every single darn things she makes. I own a couple of her headbands (although I always love more), but my recent obsession is this necklace which I WANT! I would also REALLY like one of these little rosette rings in my stocking. So cute! Black is so versatile, but she also has other colors. I’m not picky…I love them all! And guess what! Torie is offering my readers a discount for holiday shopping!!! Yup, type in SLUITER10 at checkout and receive 10% off! You can follow Torie on twitter and like Twenty Five Design on facebook, by the way! I met Julie on twitter and immediately fell in love with all the pictures she posted from her shop, Silversmyth. She and I chatted about her beautiful work and before you knew it, I was ordering a custom-made ring with both mine and Cortney’s birthstones in it. I love it. Isn't this beautiful? Julie is so talented! I always have a hard time finding earrings that I can wear because I have such sensitive earring holes. I think I own three pairs that I can wear. So this year, I would like these beautiful spiral lovlies! 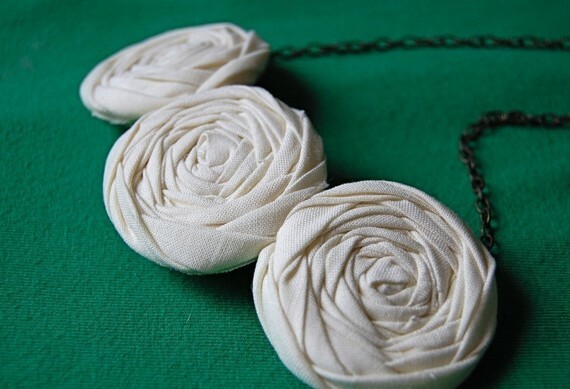 And just so you can buy pretties for those on your list (or yourself! ), Julie is offering readers a 10% discount! Just type in SLUITER at checkout! So exciting! 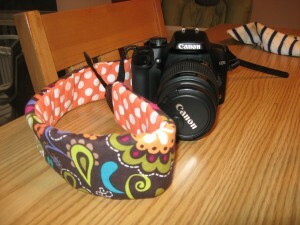 Not only is Maggie of Gussy Sews a fantastic designer/sewer, but she is a good friend! I found her shop via other bloggers, and quickly started following her on twitter, and “liked” her on facebook. After all that? I found out she graduated from the high school where I teach! She graduated the year before I started there! What a small world! Regardless of how I know her? The girl’s got talent! And I want in! I have this laptop bag on my list–with a red ruffle–because my laptop, my mouse, and my ipod are all red. It’s a matching thing. Plus? This bag? I 100 times cuter than the boring leather thing I carry now. And because Gussy is every shade of awesomesauce there is? She is offering YOU a 15% discount on all YOUR Gussy needs (um…hello…she is offering STOCKINGS now! Squee!!!!) Just type in Sluiter15 at checkout for your discount! Everyone needs some Gussy for Christmas, don’t you think? This is my love camera. It is my most prized material possession. Cortney and my parents chipped in and got it for me for my birthday this past March. The only thing I don’t have? A beautiful, safe way to carry it around. 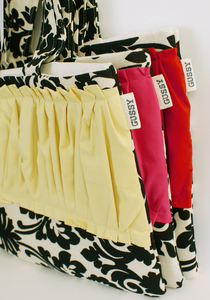 Enter Gypsy Rose Handbags. 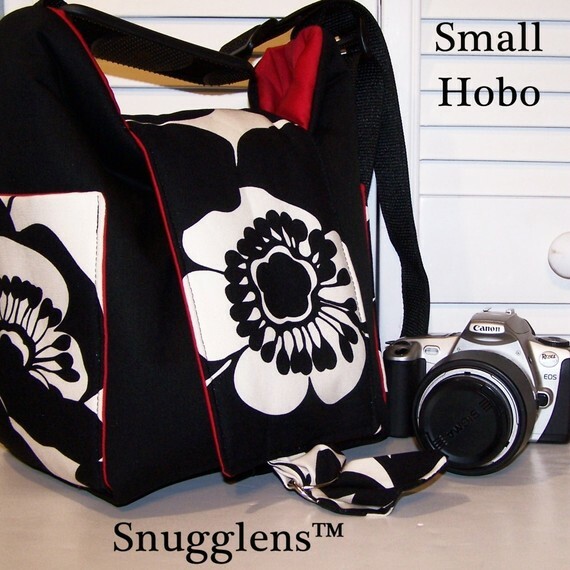 Everything in this shop is cute, but I think this small hobo bag is my favorite. I actually like almost all the fabric choices, but this one would match my Gussy laptop bag (if I get it). 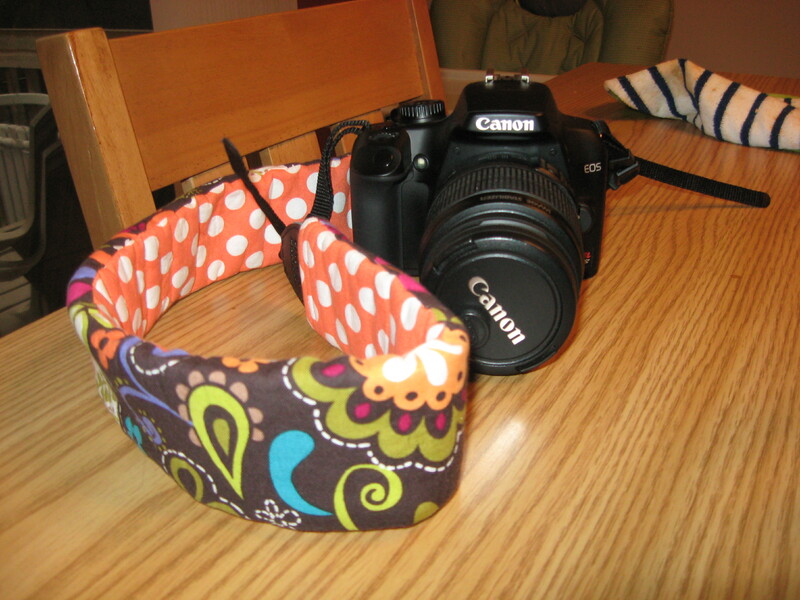 I found it incredibly hard to find a camera bag that I liked…until I found the Gypsy Rose Handbags shop! This is definitely number one on my list because it’s what I actually need AND want the most this Christmas! So what about it? What are your top ten wishes from the internet? Create a list and link up! And don’t forget to go shopping with all your new discounts in hand! ha ha! I wish I could give it away to all my readers like Oprah could do!! That would make my year! But alas, I can just share the links and deals with you all and we can all shop and drool together! Got a knit hat in gray last week. I love it!!! 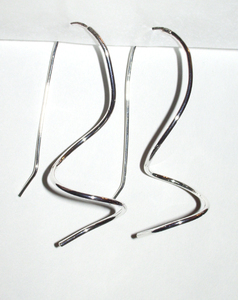 And I love the spiral earrings you’ve listed. Hope you don’t mind if I copy you. Uh, i can no longer follow you b/c you are a bad influence on me – i want all those things!!! hahaha! he he…I KNOW! but think how great it will be to tell people…here…just go to this site and buy me all Ten things 🙂 Plus…DISCOUNTS! Yay!! We have some of the same things on our lists. I swear Etsy gets me in trouble every single day. EVERY single day. You are so right, my friend! I love your taste girlfriend! I am so in love with that picture frame. I NEED it! isn’t it SOOO cute! I can’t believe some of these shops offered discounts when they heard I was doing this! I feel all lucky…even though it’s my Christmas list…but I could buy for others, of course! I know….I keep looking at it too! and it’s MY list! Ha! I give lists, too – very specific lists – it’s the best way to not get crap. this list? unbelievable! hope santa fills your stocking! I love just about all of the things on your list! Especially the apron. Not that I really need an apron because I rarely cook for guests, but who cares! It is cute and I want it! that is totally how i feel! 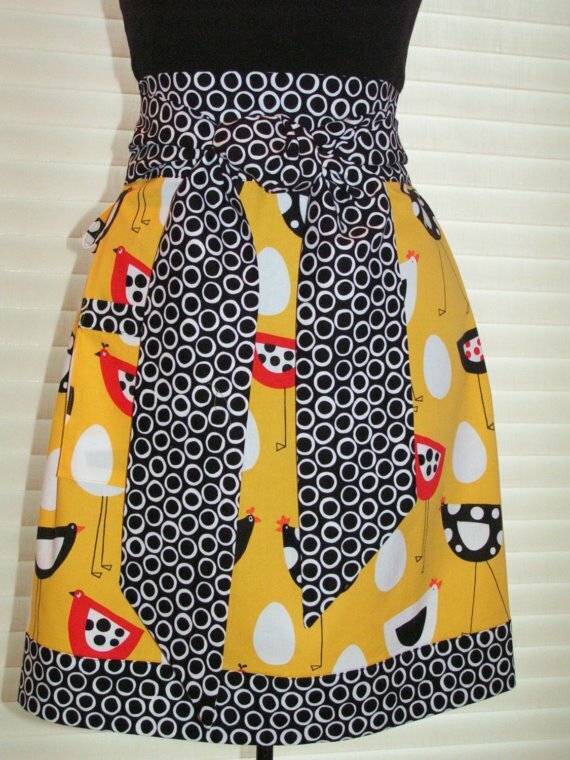 We RARELY have guests over and even more rarely have guests that we cook for…but that apron is so cute, I might just have people over to use it! Ha! Thanks for pointing out the hats. I had to add one to my list. Those are really freaking cute!!!!! Sweet! Thanks so much for including my hat on your list. I am completely flattered!